Our design for the RHS Chelsea Flower Show 2019 has been featured in the Garden Design Journal. The ‘Perennial Lifeline Garden’ for horticultural charity, Perennial, is a modern reimagining of a classical rose garden and colonnade. See more on this design in our work. Learn more about the RHS Chelsea Flower Show project here. 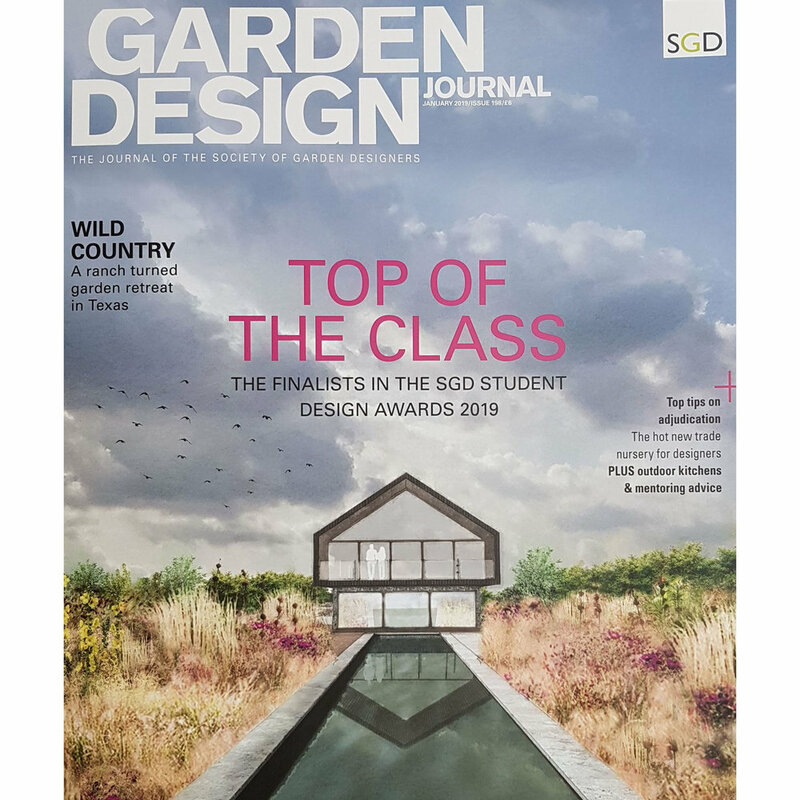 Our design for Field Barn, Suffolk - a modern country landscape garden in rural Suffolk - has been featured the front cover of the January 2019 edition of the Garden Design Journal. See more on this contemporary landscape garden design here. We’re proud to announce our design for the RHS Chelsea Flower Show 2019 - The Perennial Lifeline Garden. The design is a modern reimagining of a classical rose garden and colonnade. The garden has been designed for horticultural charity, Perennial. Colm Joseph Landscape + Garden Design was featured in the Evening Standard’s Homes & Property this week, offering low maintenance planting design ideas for a small London garden. We’re delighted to learn that our design for Field Barn, Suffolk has been shortlisted as a finalist in the Society of Garden Designers Awards 2019.